The summons to Twitter CEO Jack Dorsey to appear before the parliamentary standing committee on information technology dents government’s efforts to improve India’s ease of doing business. Summoning a top business leader like Dorsey all the way from the US, to respond to frivolous complaints initially levelled by an unknown right wing group calling itself Youth for Social Media Democracy, sends out all the wrong signals about India. The group wrote to committee chairman Anurag Thakur, a BJP leader, alleging bias in suspension of right wing Twitter accounts. The summons is an outcome. It is also a dead giveaway that India’s current hyper-politicised atmosphere is interfering in business. Acting tough on a foreign company may feed election-eve nationalist frenzy but the repercussions may manifest in areas beyond Thakur’s narrow ambit. There is, for example, the constant US refrain that India places too many entry barriers for market access to US companies. Given President Donald Trump’s tariff-happy ways such needling of US companies is best avoided, particularly, at this time. Several years ago, in discussions with economists Vijay Joshi, Pranab Bardhan and others, i was persuaded that Universal Basic Income (UBI) was an idea that deserved serious consideration. They had done notable work on it, felt it was viable, but rued that no politician in India had taken it up, and urged me to do so. I wrote about UBI in this column, and spoke in Parliament and conferences around the nation. But at that time only one other peer spoke up for it, Jammu & Kashmir’s Haseeb Drabu. 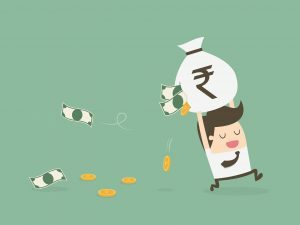 Subsequently, in the Economic Survey of 2017, the government’s then chief economic adviser Arvind Subramanian took it up, raising hopes among many that a UBI would be launched. But despite the Modi government’s major thrust on cash transfers in lieu of subsidised physical goods, most notably with the world’s largest such scheme for LPG cooking gas, it held back on launching a UBI. Meantime, other politicians have picked up the slack and there is now a political race to outdo each other with new schemes. India’s two biggest challenges, jobs and agriculture, are not just of the past five years but long running sagas. Both are serious, exacerbated by decades of poor policies. India missed the bus in earlier decades, while many Asian nations bootstrapped themselves out of poverty with high economic growth rates. Now, when India has become the world’s fastest growing large economy, radical new technologies are ensuring that far fewer jobs are created than earlier. Similarly India’s agriculture policies, devised for 1960s food shortage crises, solved that problem but are now themselves the source of huge new problems. Over the decades, the minimum support price (MSP) induced and made possible farmers’ heroic production of grains, eradicating shortages. It continues to do so now, even though there is vast surplus production of grains, a lot of which rots in godowns or gets consumed by rats. Thus, governments have gradually become miserly with MSP, giving the opposition ammunition to target their heartlessness. This saga keeps playing in a continual loop, irrespective of which parties are in government and opposition. Clearly, a better solution than MSP must be found. But dumping or restricting MSP until that happens will only increase farmers’ misery manifold. Politicians’ traditional solution has been to waive farm loans. That provides immediate relief to some farmers, and yields political dividends, like in state elections last December. But it has a cascading effect of hurting investment and worsening the fiscal deficit, which in turn weakens the rupee and fuels inflation. Worst of all, it only benefits a minority of farmers. A survey by the National Bank for Agriculture and Rural Development (Nabard) indicated that only 36% of farmers take loans from institutional sources, making governmental waivers irrelevant to most. Even among farmers who could benefit from waivers, many are excluded due to conditionalities like land ownership. For instance, the Punjab government’s loan waiver scheme announced in June 2017 covered only a fifth of the state’s 2.6 million farmers. And even then, till December 2018 only 35% of the funds have been disbursed. Cash transfers are a far better solution. Their delivery to beneficiaries is radically more efficient, especially with new technologies and biometrics helping to bypass much of the leaky, corrupt, government administrative system. But even more important, besides giving a financial leg up to the farmer, it frees him up to take rational decisions on what to grow. Intriguingly, a decade ago two incumbent chief ministers – Chandrababu Naidu and Vasundhara Raje – had publicly flirted with such ideas, but somehow did not pull the trigger. The most talked about of the new initiatives is Telangana’s Rythu Bandhu scheme, which is being seen as a win-win that offers a better policy alternative to farm distress than loan waivers, while also paying huge political dividend. It is thus no surprise that others are hurriedly following suit, including Odisha with its Kalia scheme, and the Union government with its Rs 75,000 crore national scheme for farmers’ income augmentation. And now, opposition leader Rahul Gandhi has raised the stakes, committing to a national minimum income guarantee if his party comes into office. He has thus become the first leader of a national party to do so, which will count if and when UBI ever becomes a reality. The three most common concerns people have about UBI is whether it will dampen the will to work; if the numbers make sense; and why should it be universal. First, the Rs 1,000 or so per month that is being talked about, enough to keep people out of penury but not in luxury, will not hurt the incentive to work. Second, experts believe UBI can be funded with massive savings in existing subsidies, not necessarily by eliminating them but by cutting fraud. For example, when Chandigarh replaced ration cards with cash transfers, savings of 30% ensued after biometrics de-duplicated beneficiaries. Finally, making basic income universal solves many problems, such as those technical hurdles about farmers’ eligibility linked to land ownership. It also gives the poor a lifeline, and options, without being attractive enough for the likes of you and i to bother availing it. But yes, new technical solutions could make a targeted basic income feasible too. The Election Commission has written to state chief electoral officers and manufacturers of electronic voting machines (EVMs), reports this newspaper, to streamline the storage and transport of these key instruments of democracy. “There shall be real-time tracking and monitoring of the movement of EVMs and VVPATs through GPS-enabled mobile app-based GPS tracking used in vehicles,” says the commission. This is welcome. But it will take time to put a GPS chip in every EVM and create the backend for tracking all EVMs in real time to tally their actual location with where they are supposed to be. More immediate measures are called for. While Indian EVMs are difficult to hack, as these are not networked and every constituency has its own configuration of buttons and corresponding candidates/parties, ruling out any centralising tampering to contrive registration of votes for a particular button whatever button is actually pressed, nothing prevents switching of machines. 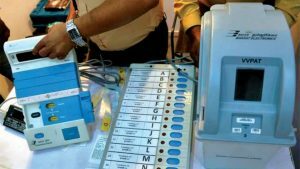 If an EVM that is used for voting is replaced, at the time of counting, with another one on which the right buttons have been pressed to give a huge lead to a particular candidate, democracy would be subverted, without any hacking of the machine. Spare EVMs are kept in a reserve pool, to replace machines that fail to work, but unless a close watch is kept on these, corrupt officials could get away with the equivalent of the ballot box switching of old. Every machine must have its own unique number and polling agents must sign off on the ID of the machine used in every booth, and this must tally with the machines counted. This reform, mostly procedural, can be put in place, while the process of GPS-enabling gets underway. A vigilant commission is the key to protecting the integrity of the democratic process. The inauguration of an exhibition in memory of the modernist painter Prabhakar Barwe (1936-1995) at the National Gallery of Modern Art in Mumbai has once again exposed the culture of compliance which has been developing in recent years. The actor, filmmaker and painter, Amol Palekar, had chosen the moment to voice his apprehension that as far as he knew, this would be the last exhibition at the NGMAs in Mumbai and Bengaluru organised by an advisory committee of local artists, and that henceforth all decisions might be taken by the central ministry of culture. Besides, few works would be displayed which were not in the collections of the NGMA. Upon which, NGMA director Anita Rupavataram and former chairman of the advisory committee Suhas Bahulikar interrupted him to request him to “stick to” Barve’s work. Palekar asked if he was being censored or disallowed from speaking — and was again told to keep to the subject. He had to wind up his speech. The incident has rightly evoked shock across the country, especially on account of the stature of the speaker and the importance of the venue. Palekar digressed from the subject after speaking almost 600 words about his friend Barve in a written speech. It was, in fact, no digression, because he was expressing concerns about state and ideological interference in the arts that Barwe himself might have articulated, had he witnessed the arc that individual freedoms have seemed to take from the time of “award wapsi” to the present. Institutions like the NGMA are expected to push back against perceived pressures, not to encourage self-censorship and expect even their guests to refrain from speaking their mind, or expressing their disquiet. This obsession with the ostensibly approved line is peculiarly Soviet, rather than Indian. An institution cannot invite speakers and expect them to cleave to an invisible line. If that is the expectation, they should invite officials who are accustomed to working within set bounds, rather than artists, whose work springs from the freedom of expression. When he was rudely interrupted, Palekar alluded to the case of Nayantara Sahgal, who was invited to the inauguration of the prestigious Akhil Bharatiya Marathi Sahitya Sammelan in January, and then swiftly disinvited on fears that she would criticise the government. Indeed, the text of her speech objected to curtailed personal freedoms and the imposition of a uniform cultural identity on a land of diversity. To remain worthy of respect, institutions should jealously guard their intellectual space, which provides autonomy to writers and artists to express themselves freely. Especially when they digress. आईपीएस भी मनुष्यों से निर्मित किसी अन्य संस्था की ही तरह एक ऐसा संगठन है, जिसमें अच्छे-बुरे हर तरह के लोग होंगे। उनमें आपस में भाईचारे के साथ साथ ईष्र्या-द्वेष भी होगा, सबसे बढ़कर तरक्की का पिरामिड संकरा होने के कारण कई बार गलाकाट प्रतिस्पर्द्धा भी होगी। यह सब कुछ मानवीय है। इन सबके बावजूद सेवा अपने भीतर का भ्रातृत्व बचाए रख सकती है। दिक्कत तब खड़ी होती है, जब अंग्रेजी की एक कहावत के अनुसार हम राजा से बढ़कर उसके खैरख्वाह होने की कोशिश करते हैं। इसमें एक बड़ी भूमिका राजनीतिज्ञ भी निभाते हैं। इस प्रकरण में मुख्यमंत्री ममता बनर्जी का पुलिस कमिश्नर के निवास पर आना और धरने पर बैठ जाना सांविधानिक मर्यादाओं के उल्लंघन के साथ-साथ खुद को संदिग्ध बनाने जैसा था। उससे भी बड़ा दुर्भाग्य यह था कि बहुत से आईपीएस अधिकारी धरने पर बैठीं ममता के इर्द-गिर्द दिख रहे थे। उनके इस तर्क पर यकीन करना थोड़ा मुश्किल है कि वे मुख्यमंत्री की सुरक्षा या शांति-व्यवस्था कायम करने के लिए वहां थे। इस मुद्दे पर भी केंद्र और राज्य सरकारों ने राजनीति करने में कोई कसर नहीं छोड़ी। केंद्र प्रदर्शन स्थल पर मौजूद आईपीएस के मेडल छीनना चाहता है, जबकि राज्य इसके एवज में उन्हें राज्य का सर्वोच्च नागरिक सम्मान देना चाहता है। दोनों को एहसास नहीं है कि लंबी और उत्कृष्ट सेवाओं के लिए अर्जित किए जाने वाले दोनों मेडल किसी आईपीएस अधिकारी के लिए क्या अर्थ रखते हैं? इस बात से इनकार नहीं किया जा सकता कि रोजगार क्षेत्र के हालात विकट हैं। यह समस्या विकराल रूप इसलिए धारण कर चुकी है कि शिक्षित युवाओं की फौज तो बढ़ रही है, सरकारें उन्हें रोजगार मुहैया नहीं करा पा रहीं। निजी क्षेत्र में स्थिति और गंभीर है, जहां सिर पर हमेशा छंटनी की तलवार लटकी रहती है। सरकार के रोजगार संबंधी आंकड़े तो भ्रम की स्थिति पैदा करने वाले हैं। बेरोजगारी और इसके आंकड़ों को लेकर देशभर में जो बहस चलती रही है वह सरकार के दावों की पोल खोलने के लिए काफी है। यह किसी से छिपा नहीं है कि पिछले कुछ सालों में केंद्र और राज्य सरकार ने अपने यहां लाखों नौकरियां खत्म कर दी हैं। रोजगार के नाम पर कम पैसे में ठेके पर काम पर रखने की नीति चल पड़ी है। हाल में फिर लाखों नौकरियों के सृजन का दावा किया गया है। सरकार के राष्ट्रीय नमूना सर्वेक्षण कार्यालय (एनएसएसओ) ने पिछले साल जो रिपोर्ट जारी की थी वह हकीकत सामने लाने वाली थी। इसमें कहा गया था कि पैंतालीस साल में पहली बार बेरोजगारी दर छह फीसद से ऊपर निकल गई है। इससे सरकार के हाथ-पैर फूल गए थे और सरकार ने इसे अधूरा करार दिया था। इससे साफ है कि रोजगार को लेकर सरकारी दावे जहां खोखले साबित हो रहे हैं वहीं आंकड़े भ्रम पैदा कर रहे हैं। सवाल है कि अगर लाखों नौकरियां सृजित हो रही हैं, काम के मौके बन रहे हैं तो फिर नौजवानों को काम मिल क्यों नहीं रहा?